Beauty & All That: Schick Intuition Limited Edition Razors- For Travel! 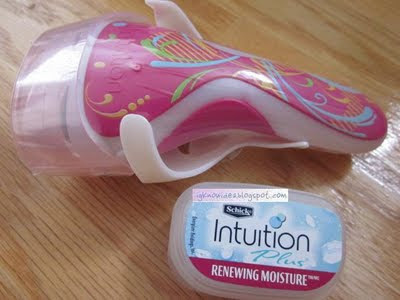 Schick Intuition Limited Edition Razors- For Travel! Just a few more weeks until Labor Day and if you're going on a getaway this month, don't forget to pack the new Schick Intuition razor. Smooth legs go with every outfit, so whether you're camping or jetting for the weekend, the Intuition Plus razor will help you get exactly that! This is a razor that I remember coming out many years ago- a soap-bar that acts as a shaving cream around the razor blades- all in 1! These new limited-edition designs, available until September, are colorful so you can spot them in your bag! 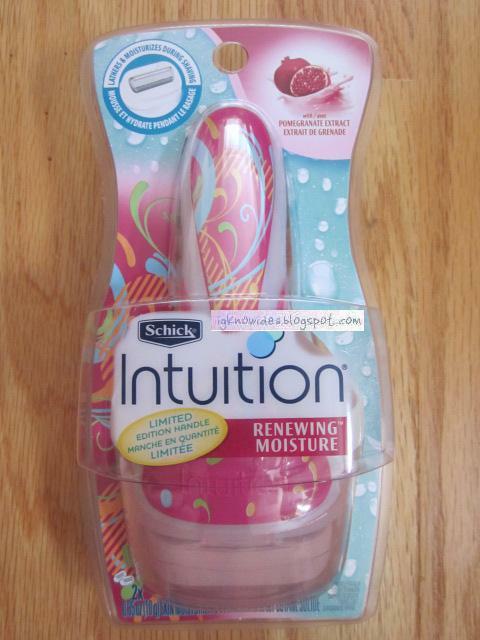 The Schick Intuition Plus Renewing Moisture Razor above is the Pomegranate scent with a fun, pink razor handle. This 4-bladed razor & pivoting head gives you the precise shave to get you the smoothest legs possible. Each package contains a shower hanger and a travel cap, as well as two refill cartridges. 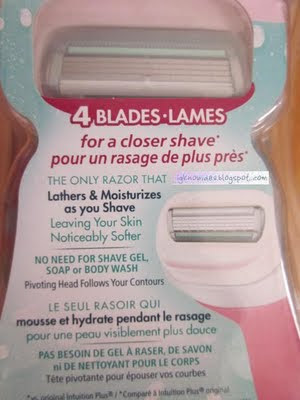 For me, each cartridge can last months- even after the moisturizing solid around the razor is gone. Overall, this is a great travel choice and I already have this packed in my bags! Bon Voyage! This looks like a really cool product to try! Can you make this a giveaway in the future?